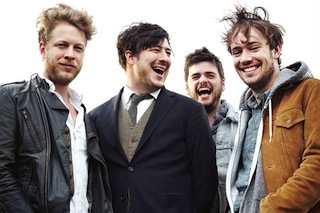 Mumford & Sons have revealed in a new interview with Rolling Stone they will be going on hiatus. "Exactly how long is the band planning to take off? “We have no idea. We just know we’re going to take a considerable amount of time off and just go back to hanging out and having no commitments or pressure or anything like that. It feels like the last week of school right now, before school holiday when you’re in high school. The atmosphere on the road is one of … I think everyone’s excited about being free of schedules.” "